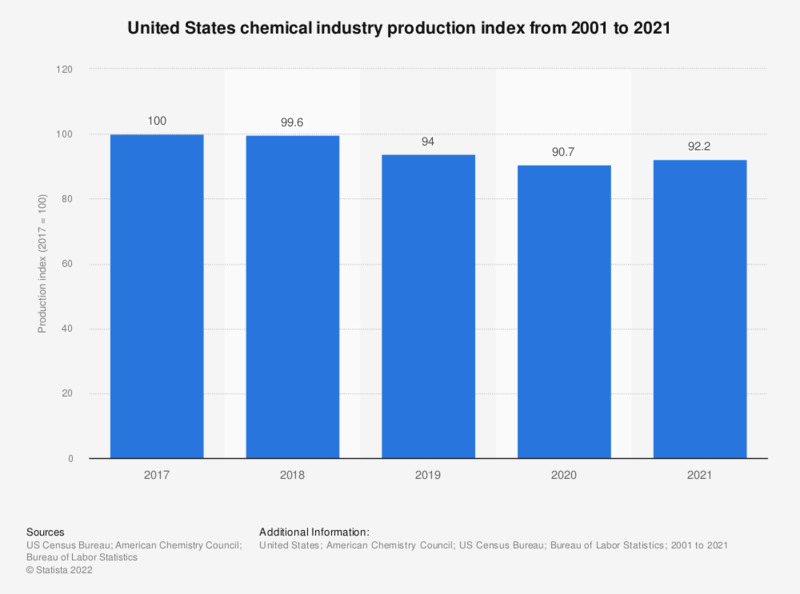 This statistic depicts the United States' chemical production index from 2001 to 2017. In 2017, the chemical production index in the United States stood at 98.2 (2012 = 100). According to the American Chemistry Council the U.S. chemical industry includes: basic chemicals, specialty chemicals, agriculture chemicals, and consumer products. Figures have been restated in the 2018 edition of the report due to the fact that pharmaceutical data is no longer included in the figures.